Adding a company wide contact list to your account. 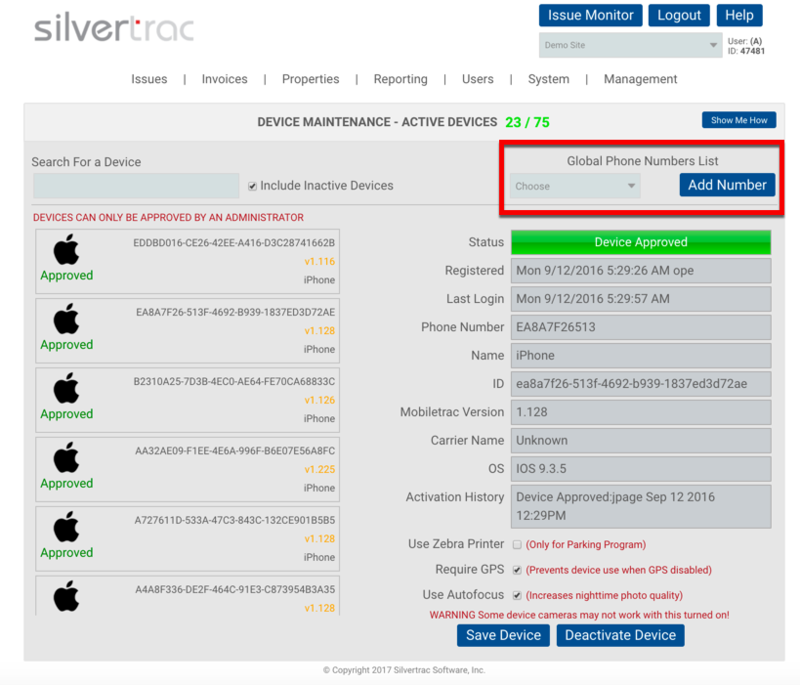 Silvertrac allows you to create a system wide contact list. The contacts in the list will be available for the officers in the field to view and contact when needed. To create the list hover over the System tab and select Device Maintenance. At the top right-hand side of the page there is a drop down box titled Global Hand Held Phone Numbers List. By clicking Add Number you can input relevant phone numbers and descriptions that will be used by field officers such as Local Police, your Dispatch number, etc. Click add and it will be instantly available in the drop down box.